How well did you find your way around 1922 Chicago? The clue here is the original Goldblatt&apos;s department store. Though Goldblatt&apos;s has gone out of business, the expanded version of its historic building still stands at 1625 West Chicago Avenue. 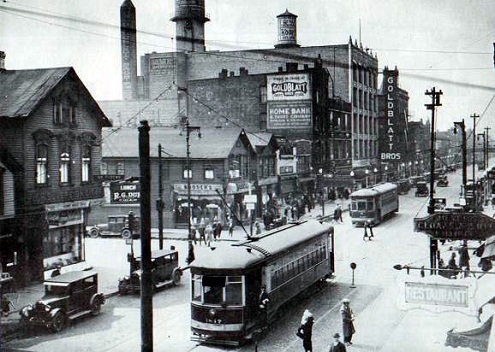 However, the small frame structures at the southwest corner of Chicago and Ashland were torn down when Ashland Avenue was widened a few years later.